I have never made crepes for my family. I can’t believe that! We’ve enjoyed them with friends at their homes, but I just have never thought to make them myself. 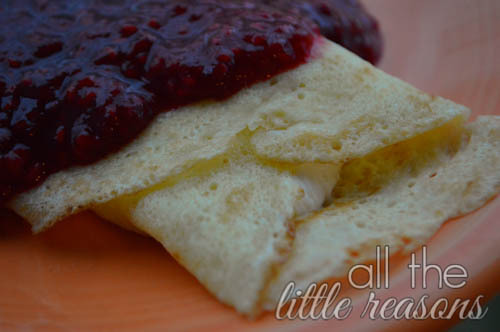 So I went on a hunt for a good crepe recipe and found Julia Child’s version. They were super easy to make, but just need to be refrigerated for an hour or two in order to let the flour particles absorb the liquid and make the crepes tender.